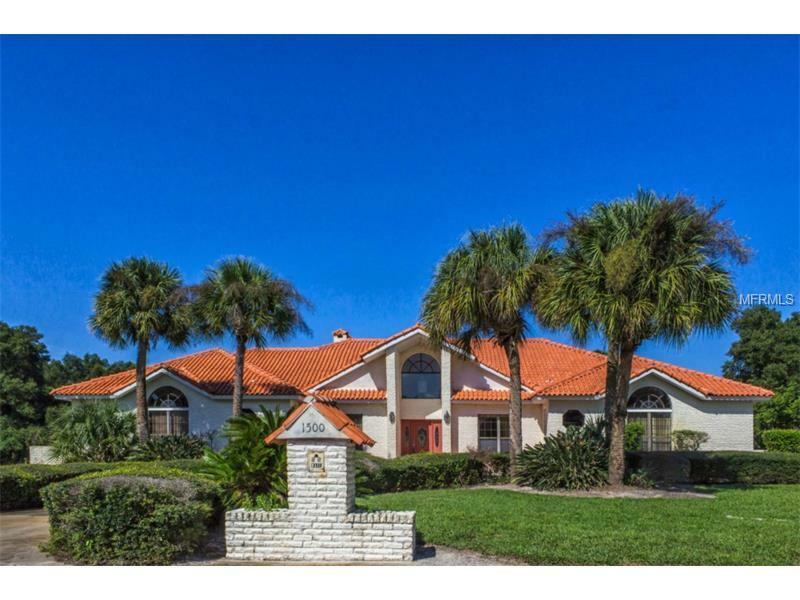 Spacious 5 Bedroom, 5 Bathroom Home Nestled on a Nearly 1 Acre Homesite w/ a Circular Driveway. This Amazing Floor Plan was way Ahead of its Time w/High Ceilings, Ample Natural Light and has All the Right Spaces in All the Right Places! A Traditional Dining Room & Sitting Room/Den and a Expansive Living Room w/ Stone Covered Wood Fireplace and Excellent Pool views. The Large Kitchen w/Solid Surface Counter Tops, Center Island, Wood Cabinets and a Breakfast Bar. The Family Room Also has Great Pool Views and a Bar to keep the Entertainment going. The 5th Bedroom is off the Garage and could also make an Excellent Office or Guest Quarters. The Lanai has Covered Patio All around and a very Large Sparkling Swimming Pool & Spa along with a Summer Kitchen. This Home is Ready for you to Bring your Finishing Touches to make it your own. One Year Home Warranty by American Home Shield Included! Call you Agent Today For a Tour!